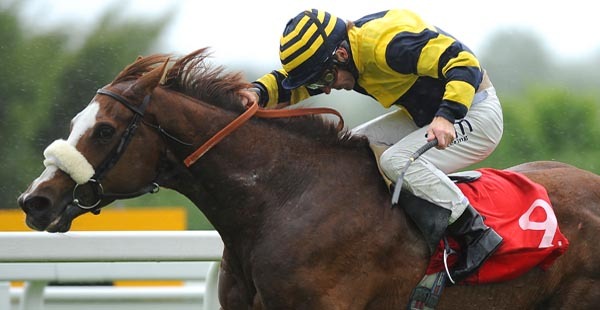 Whilst it will take a back seat in terms of interest to the more prestigious Eclipse Stakes on the day, the Coral Challenge will hold its own in terms of excitement and attraction it bring to punters. A competitive field lines up for the event, with five horses looking to follow up on recent victories. Leading the charges will be Wentworth and Windhoek, though a balanced field follows close behind in the bookmakers’ offerings. The best place to have a bet on the 2013 Coral Challenge is with Bet365.com. The odds below were taken from the site, and you will be able to find the latest race odds there as well. Bet365.com is also offering each-way betting on the race, with which you will receive 1/4 if should your selection place in positions one to four. The 17-strong field contains some horses in top form and with plenty of season victories already in the bag. Race favourite Wentworth has been unlucky in recent times and this may well be the race in which the tides turn in his favour. Both of his starts this year have been blighted by problems incurred mid-race, and he looks to be in fine condition going into the race. His chances weren’t helped by the fact that he was drawn out in stall 16, and will be facing an uphill race from the start. His closest competitor Windhoek maybe wasn’t looking in perfect condition earlier in the week, though the brave performances put in by the horse in his last few outing should not be discounted. Windhoek has been dropped in class from his last few races, and the hope will be that the change will bring about the same form that saw him win two races earlier in the season. Both of those races were run over ten furlongs, however, and this will be the first time that the horse races over a mile. He found it hard to stay with the leaders in the Dante and the Tercentenary Stakes at Royal Ascot, resulting in him being dropped down a class. Ryan Moore will be in the saddle. Eyes will also be on Roserrow as he looks for a hat trick of victories on the course and distance, but Andrew Balding’s charge was dealt a blow when he was drawn out in stall 17. The going at Sandown Park is expected to be Good to Firm, Good in places. As mentioned above, the best racebook to place a bet on the 2013 Coral Challenge is Bet365.com, who will offer the best odds on the race. When visiting Bet365.com, click on ‘Horse Racing’ in the left sidebar and scroll down to the Antepost section of the page, where you will find the markets for this race and many more. The Coral Challenge is a Class 2 race held at Sandown Park and is for horses aged three years old and over. The race has a purse of GBP 75,000 and is run over a distance of one mile and 14 yards. The race is held on the same day as the prestigious Eclipse Stakes.